Our spring sale has been extended for one more day through 3/23/2019. 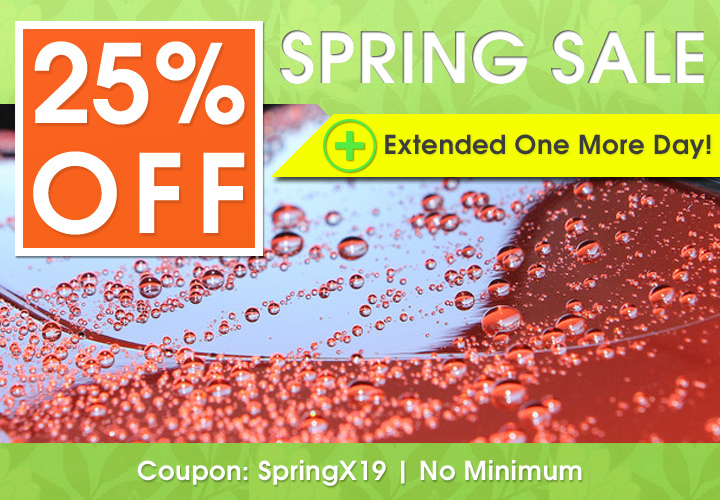 Use coupon code SpringX19 and save 25% on your order with no minimum required. Don’t miss your last chance for 25% off spring savings!